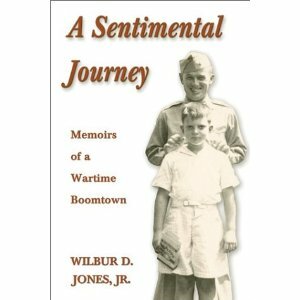 A Sentimental Journey is a social history of the life and culture of the World War II home front in Wilmington and Southeastern North Carolina. 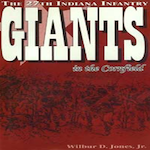 “The Defense Capital of the State,” it became a mighty contributor to the war effort and the country’s unique wartime boomtown, earning it the right to be proclaimed as “America’s World War II City.” The area had all the armed forces stationed in large numbers, a shipyard producing 243 cargo vessels, the vital state port, industries at capacity, and German prisoner of war camps. Thousands left to fight; 191 New Hanover County boys died. Two high school graduates received the Medal of Honor. Strategically located, it endured constant civilian defense drills and restrictions, U-boats sinking ships offshore (one fired on a defense plant), and until 1944, the threat of attack. The population nearly tripled. Demands for goods and services including housing, schools, food, and recreation overwhelmed. 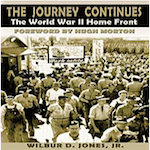 How officials managed the social, civic, jurisdictional, racial, and governmental complexities during the city’s economic heyday-while handling huge construction projects, war workers, citizen stresses, black markets, crime wave, equal justice, and weekend hordes of soldiers-is portrayed through firsthand accounts and the daily newspapers. 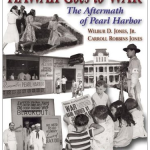 The author’s vivid boyhood remembrances weave through and interpret the story.